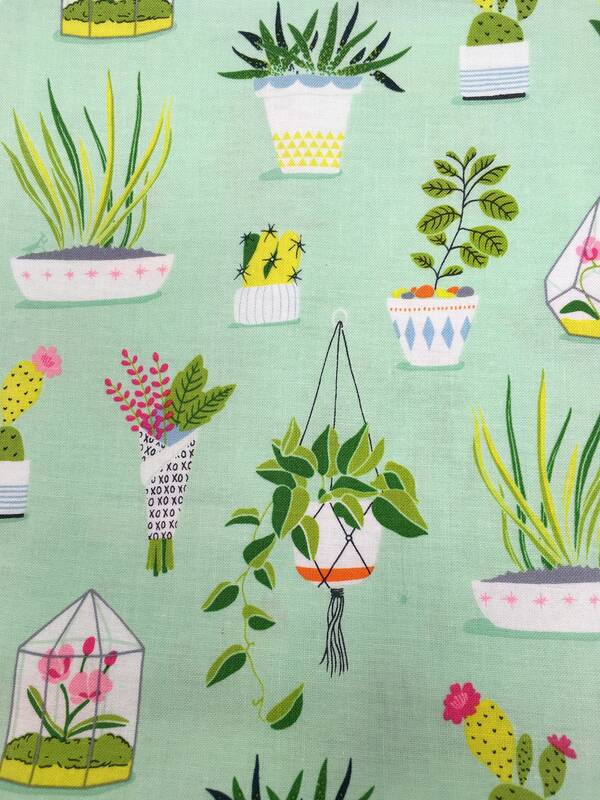 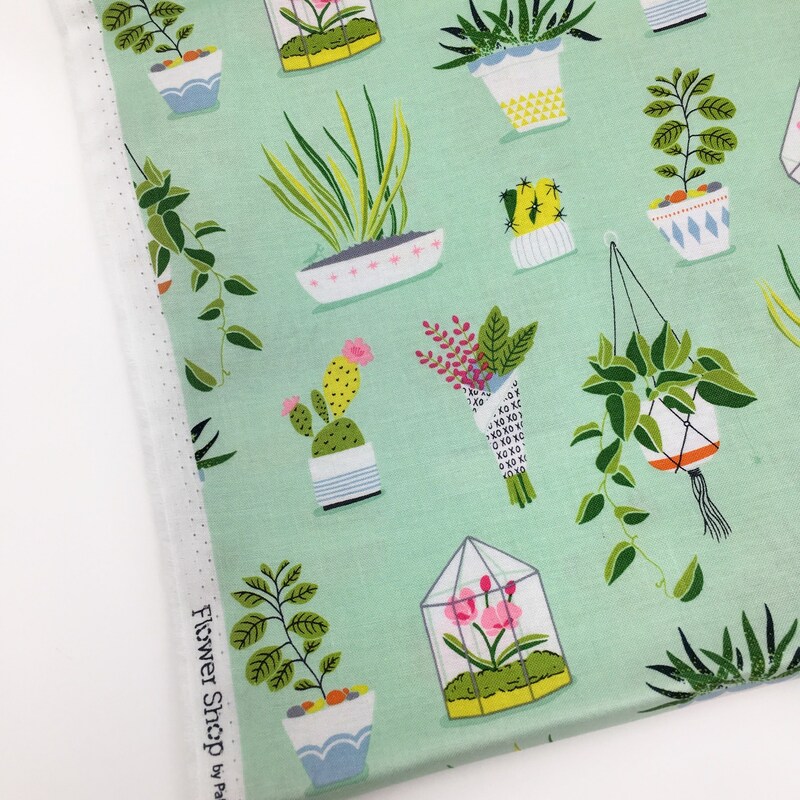 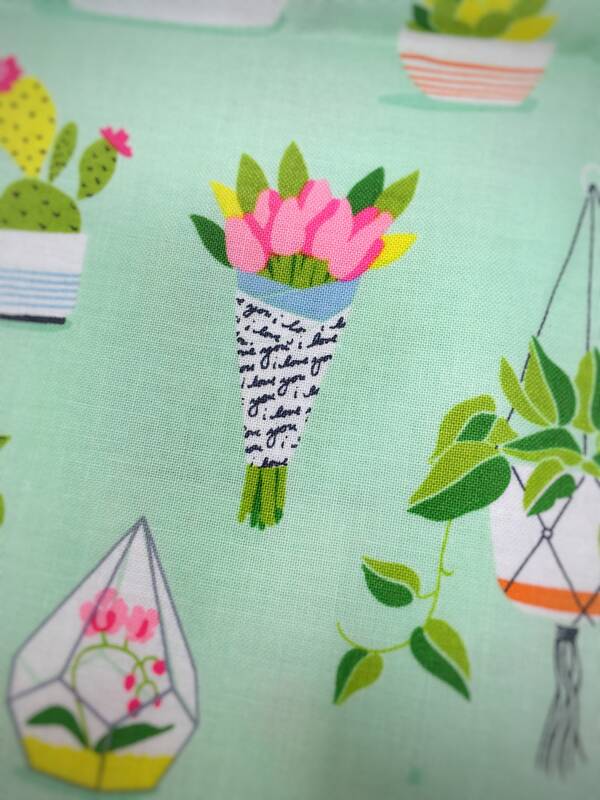 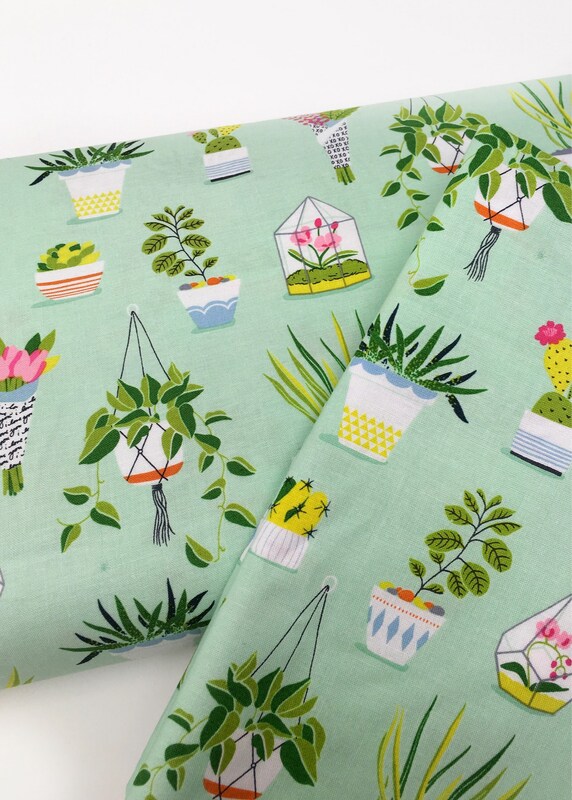 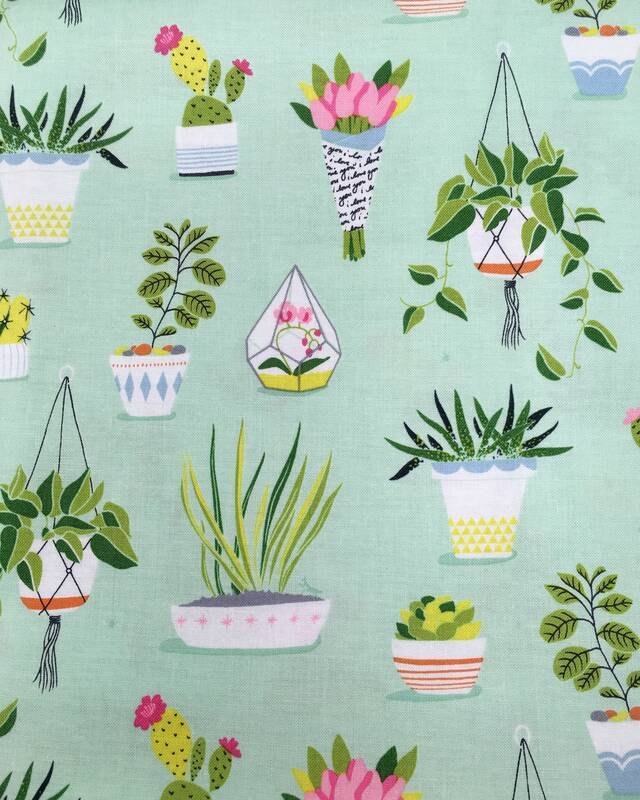 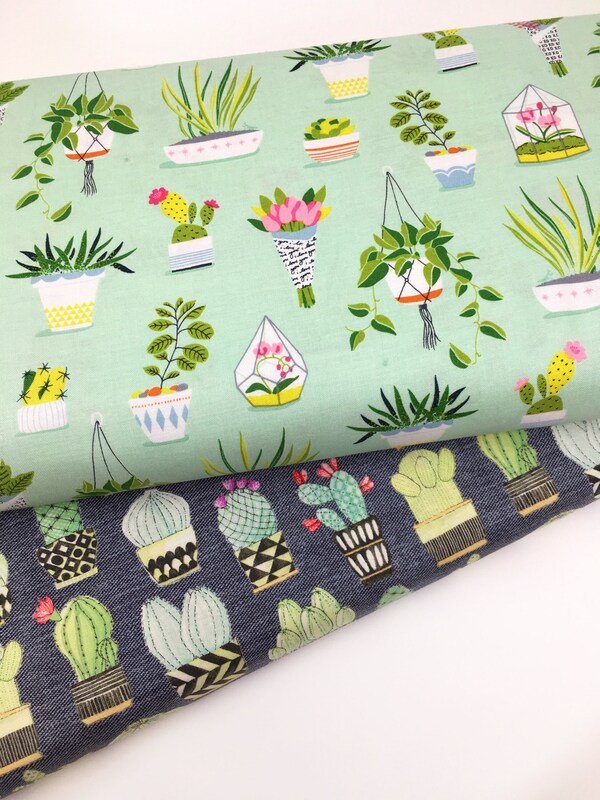 Flower shop cactus print cotton by Michael Miller fabrics. 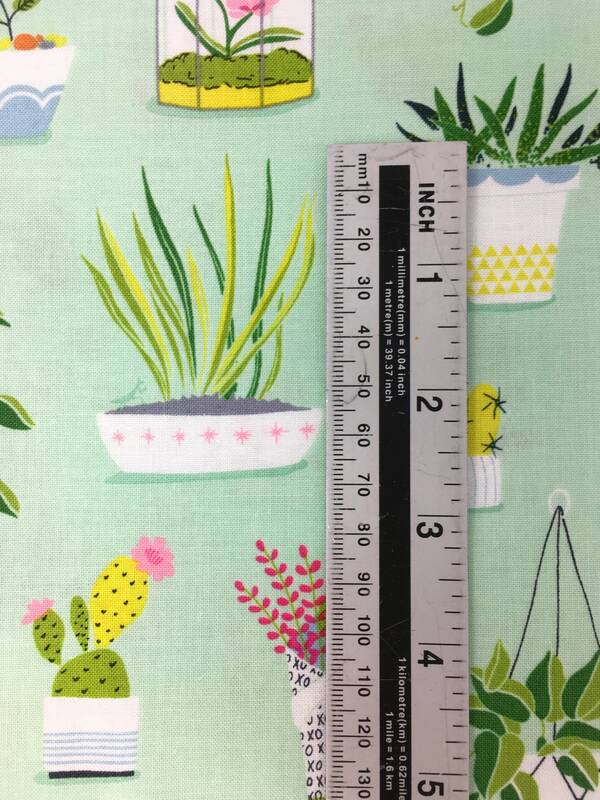 This stunning 100% woven cotton is approx 44 inches (or 112cm wide) and features tropical succulent motifs. 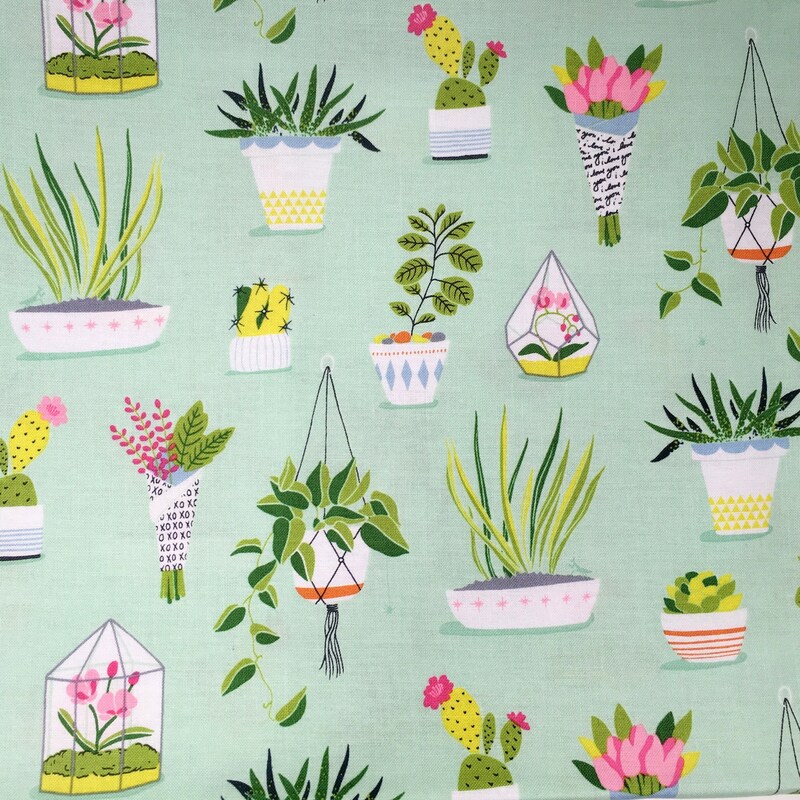 This striking fabric with pretty pink flowers and trawling hanging baskets is perfect for dress making or other sewing projects.